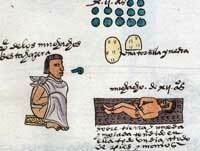 At the age of nine, a child might be pierced by the spines – you can see a girl’s wrist being pricked here (pic 3)... 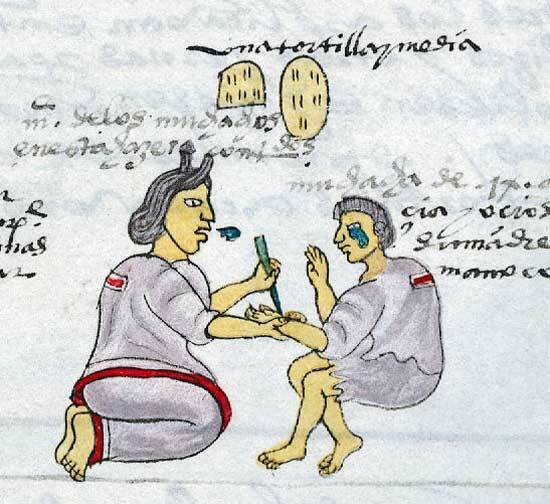 The Aztecs thought children under the age of ten couldn’t commit really bad crimes but if they did, their parents could take them to court! By twelve, children could be punished for their bad behaviour in a variety of ways. This son (pic 4) is lying naked and bound while his father tells him off. The boy’s tears show that he has learned his lesson. If you look at the picture below (pic 5) you will see a boy being held directly over smoking chillies. The girl to his right is threatened with the chillies by her mother. Both are crying – perhaps from feeling bad after what they’d done or maybe from the smoke burning their eyes! 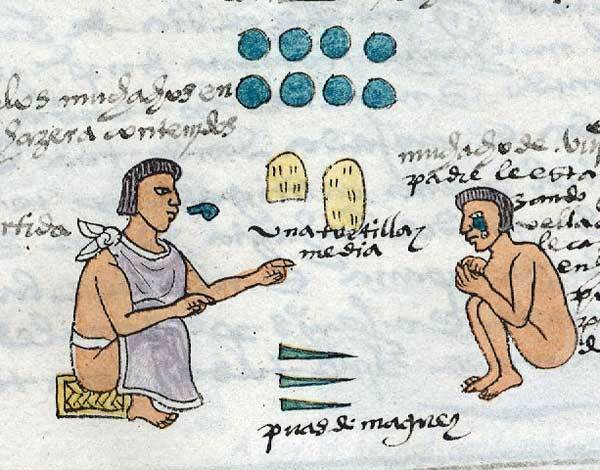 Aztec society believed in obedience, honesty, politeness, respect, moderation, modesty and energy which were seen as moral ideals. Adults and children alike were subject to them. Although it may look like rebellious children received tough treatment from their parents, we must remember that punishments were not used often and only in order to make them good citizens and workers. Q. 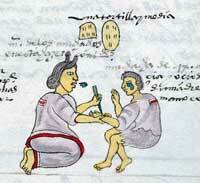 How do we know Aztec teenage boys obeyed their dads? A. They were bound to...! I think there could be more information and the pictures could be bigger but apart from that brilliant! OMG! How could they do such a thing! Don’t they feel bad at all! they are only CHILDREN. they should know better but they don’t have to be hung over a pile of burning CHILLIES! I feel super bad and I am REALLY glad I live in PA. 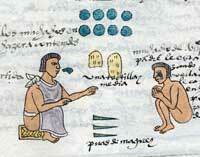 I am so interested by the punishments of the Aztecs, but what would they do to adults? 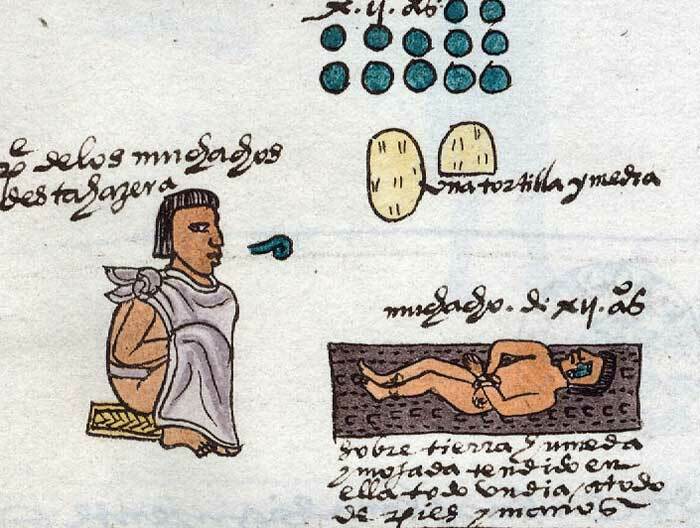 Mexicolore replies: The Aztecs had the general idea that if you wronged someone, you had to pay back the ‘value’ of what you’d done: for instance, if you stole something from someone in the market, you would be made to work for that person until you’d paid back the price of what you’d stolen. Then you were free. If you committed a serious crime, like killing someone, you’d be stoned to death - grim!